For a particular products available extended warranty type, please see the specifications listed on its web page. All RØDE Microphones products are covered by a limited warranty for one (1) year from the date of purchase unless otherwise dictated by statutory rights required by relevant consumer law within the products country of purchase. The warranty only applies to RØDE Microphones purchased from authorized RØDE dealers. The authorized dealers of RØDE Microphones in all regions are listed at www.rode.com/wheretobuy . The warranty does not cover any of the following: damage caused by the user; spillages or moisture; neglect, abuse or misuse, including but not limited to the failure to use the RØDE Microphone for its normal purpose in accordance with the manufacturer’s instructions for usage, failure to properly maintain the RØDE Microphone in accordance with the manufacturer’s instructions, and/or the failure to use the RØDE Microphone in accordance with the manufacturer’s specifications; normal wear and tear; use of microphone with incompatible or faulty equipment; unauthorized modifications; repairs conducted by unauthorized persons or service centers; the model and/or serial number being altered, removed or made illegible; accidents; or acts of god or any cause beyond the control of RØDE. The warranty is transferable during the term of the applicable warranty period of the RØDE Microphone, provided that the original purchaser has registered the microphone for the extended warranty and provided RØDE with a copy of the original proof of purchase from an authorised RØDE dealer. Each and every claim made pursuant to this warranty by any person other than the original purchaser will incur a AUS$20.00 charge payable to RØDE upon making a warranty claim. The warranty does not affect any statutory rights that the original purchaser may have in accordance with the law applicable in the jurisdiction where the RØDE Microphone was purchased, or any rights that the original purchaser may have against the authorized RØDE dealer pursuant to their original purchase agreement. Such statutory rights may not apply to subsequent owners of the RØDE Microphone. In order to claim pursuant to this warranty in the period of one (1) year from the date of purchase of the RØDE microphone, the RØDE microphone must be delivered, together with the original proof of purchase, to an authorized RØDE service center in the region in which the RØDE microphone was originally purchased. In order to claim pursuant to this warranty during the extended warranty period, the RØDE microphone must be delivered to an authorized RØDE service center in the region in which the RØDE microphone was originally purchased. Once the RØDE microphone has been received, the authorized RØDE service center will then arrange the repair (or replacement where applicable pursuant to paragraph 2 above) in accordance with the warranty repair procedure prescribed by RØDE for their authorized service center network. The warranty repair will be conducted by the authorized RØDE service center as promptly as possible and within a reasonable time from the date of submission for the warranty repair. The list of authorized RØDE service centers in each region is available at www.rode.com/contact_us. In all circumstances, a claimant under this warranty will be liable for all costs in delivering the RØDE microphone to the authorized RØDE service center for warranty repair and for all costs in collecting the RØDE microphone from that authorized RØDE service center after warranty repair. That authorized RØDE service center may waive the cost of return shipping to a nominated address after the warranty repair in that service center’s sole discretion. RØDE will not accept any warranty repair without the original proof or purchase of the RØDE microphone, or without the registration of the RØDE microphone during the extended warranty period. It is the original purchaser’s responsibility to keep the original proof or purchase safe at all times, as RØDE is not obliged to provide a replacement of the original proof or purchase, and to transfer that proof of purchase to any subsequent owners of the RØDE microphone. Any repair or replacement of a RØDE microphone pursuant to this warranty does not extend the warranty, and the original term of the warranty will remain. RØDE shall not be liable for damages in excess of the purchase price of the RØDE microphone arising out of the use or inability to use the RØDE microphone insofar as allowed to be disclaimed by law in the jurisdiction where the RØDE Microphone was purchased. For selected products, this warranty can be extended to ten (10) years from the date of purchase. To be eligible for the extension of the warranty, the original purchaser must register the purchase of their RØDE Microphone online. The terms and conditions of the original warranty will then apply for the term of the extended warranty period. For the RØDE M1 live dynamic and RØDE Classic II (Limited Edition) microphone only, this warranty can be extended to the lifetime of the product from the date of purchase. 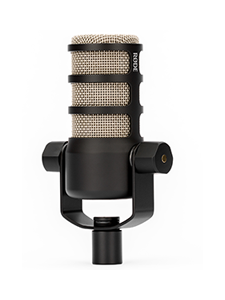 To be eligible for the extension of the warranty, the original purchaser must register the purchase of their RØDE M1 live dynamic microphone or RØDE Classic II (Limited Edition) online at www.rode.com/warranty. The terms and conditions of the original warranty will then apply for the term of the extended warranty period. This warranty applies only to the RØDE HS1, RØDE Pin Mic and RØDE Lavalier microphones. The warranty covers any defects in materials and workmanship of the RØDE Microphone, and is limited to the replacement of the RØDE Microphone. In its sole discretion, RØDE may (a) replace the RØDE Microphone with a new RØDE Microphone of the same model, or (b) replace the RØDE Microphone with a new RØDE Microphone of a similar specification, in circumstances where the same RØDE Microphone is no longer available. The warranty is transferable during the term of the applicable warranty period of the RØDE Microphone. In order to claim pursuant to this warranty in the period of one (1) year from the date of purchase of the RØDE microphone, the RØDE microphone must be returned, together with the original proof of purchase, to an authorized RØDE service center in the region in which the RØDE microphone was originally purchased. 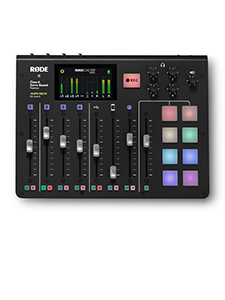 In order to claim pursuant to this warranty during the extended warranty period, the claimant must (a) go online to www.rode.com, enter their claim details and pay the sum of AUS$99.00, upon which the claimant will receive an RA claim number; and (b) thereafter deliver the RØDE microphone to the authorized RØDE service center in the region in which the RØDE microphone was originally purchased, together with the RA number. Once the RØDE microphone has been received, the authorized RØDE service center will assess the warranty claim and then arrange replacement in accordance with the warranty procedure prescribed by RØDE for their authorized service center network. The warranty replacement will be conducted by the authorized RØDE service center as promptly as possible and within a reasonable time from the date of submission of the warranty claim. The list of authorized RØDE service centers in each region is available at www.rode.com/support. In all circumstances, a claimant under this warranty will be liable for all costs in delivering their RØDE microphone to the authorized RØDE service center for warranty replacement and for all costs in collecting the replacement RØDE microphone from that authorized RØDE service center. That authorized RØDE service center may waive the cost of return shipping to a nominated address after the warranty replacement in that service center’s sole discretion. RØDE will not accept any warranty replacement without the original proof or purchase of the RØDE microphone, or without the registration of the RØDE microphone during the extended warranty period. It is the original purchaser’s responsibility to keep the original proof or purchase safe at all times, as RØDE is not obliged to provide a replacement of the original proof or purchase, and to transfer that proof of purchase to any subsequent owners of the RØDE microphone. Any replacement of a RØDE microphone pursuant to this warranty will terminate this warranty, and a new warranty will apply to the replacement RØDE microphone. This warranty can be extended to five (5) years from the date of purchase. 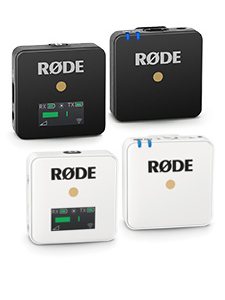 To be eligible for the extension of the warranty, the original purchaser must register the purchase of their RØDE Microphone online at www.rode.com. The terms and conditions of the original warranty will then apply for the term of the extended warranty period. All RØDE Microphones’ products are covered by a limited warranty for one (1) year from the date of purchase unless otherwise dictated by statutory rights required by relevant consumer law within the products country of purchase. The warranty only applies to RØDE Microphones Products purchased from authorized RØDE dealers. The authorized dealers of RØDE Microphones Products in all regions are listed at www.rode.com/wheretobuy . The warranty does not cover any of the following: damage caused by the user; spillages or moisture; neglect, abuse or misuse, including but not limited to the failure to use the RØDE Microphone for its normal purpose in accordance with the manufacturer’s instructions for usage, failure to properly maintain the RØDE Microphone’s product in accordance with the manufacturer’s instructions, and/or the failure to use the RØDE Microphone’s product in accordance with the manufacturer’s specifications; normal wear and tear; use of microphone with incompatible or faulty equipment; unauthorized modifications; repairs conducted by unauthorized persons or service centers; the model and/or serial number being altered, removed or made illegible; accidents; or acts of god or any cause beyond the control of RØDE. The warranty does not affect any statutory rights that the original purchaser may have in accordance with the law applicable in the jurisdiction where the RØDE Microphone was purchased, or any rights that the original purchaser may have against the authorized RØDE dealer pursuant to their original purchase agreement. Such statutory rights may not apply to subsequent owners of the RØDE Microphone’s product. In order to claim pursuant to this warranty in the period of one (1) year from the date of purchase of the RØDE microphone’s product, it must be delivered, together with the original proof of purchase, to a RØDE Authorized service center. In order to claim pursuant to this warranty during the extended warranty period, the RØDE microphone’s product must be delivered to an Authorized RØDE service center. Once the RØDE microphone’s product has been received, the authorized RØDE service center will then arrange the repair (or replacement where applicable pursuant to paragraph 2 above) in accordance with the warranty repair procedure prescribed by RØDE for their authorized service center network. The warranty repair will be conducted by the authorized RØDE service center as promptly as possible and within a reasonable time from the date of submission for the warranty repair. In all circumstances, a claimant under this warranty will be liable for all costs in delivering the RØDE microphone’s product to the authorized RØDE service center for warranty repair and for all costs in collecting the RØDE microphone’s product from that authorized RØDE service center after warranty repair. That authorized RØDE service center may waive the cost of return shipping to a nominated address after the warranty repair in that service center’s sole discretion. RØDE Microphones will not accept any warranty repair without the original proof or purchase of the RØDE microphone’s product, or without the registration of the RØDE microphone’s product during its extended warranty period. It is the original purchaser’s responsibility to keep the original proof or purchase safe at all times, as RØDE is not obliged to provide a replacement of the original proof or purchase, and to transfer that proof of purchase to any subsequent owners of the RØDE microphone’s product. Any repair or replacement of a RØDE microphone’s product pursuant to this warranty does not extend the warranty, and the original term of the warranty will remain. RØDE shall not be liable for damages in excess of the purchase price of the RØDE microphone arising out of the use or inability to use the RØDE microphone insofar as allowed to be disclaimed by law in the jurisdiction where the RØDE Microphone’s product was purchased. For selected products, this warranty can be extended to two (2) years from the date of purchase. To be eligible for the extension of the warranty, the original purchaser must register the purchase of their RØDE Microphones product online. The terms and conditions of the original warranty will then apply for the term of the extended warranty period. To be eligible for the extension of the warranty, the original purchaser must register the purchase of their Rode Microphones product online at www.rode.com. The terms and conditions of the original warranty will then apply for the term of the extended warranty period.